Windows Live Writer was a useful external text editor to create drafts of blogs and even publish them from the tool itself without needing to access the control panel of your CMS. But since 2012 it had not been updated, and it’s only now that it’s been revived as a free, totally independent, and open source program. 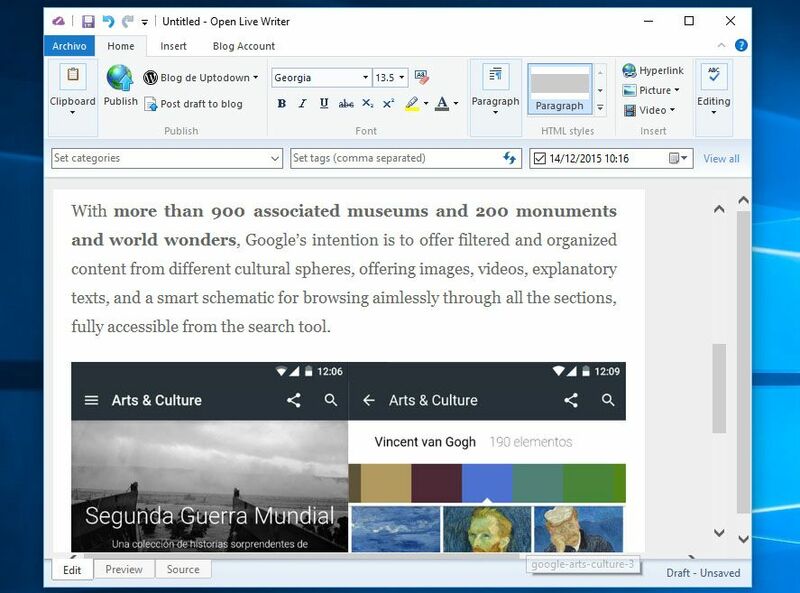 The original project has been rescued by the .NET Foundation and can be downloaded and run separately from other Microsoft products, offering a text editor that’s strongly reminiscent of the interface of old Office distributions in its layout of the different tools. Beyond that, we’re looking at an interesting text editor for bloggers that’s compatible with WordPress, Blogger, and other popular CMSes. To make it work you have to add the login details of not just the CMS where you have your blog but also the blog URL itself. This gives you full access to the editing tool, where you can create drafts, add labels, set categories, and basically work with everything you need to post on your blog without ever having to open your browser and do everything from your desktop. In the transformation process some obselete features have been left out, such as the spellcheck, the API to post from anywhere, and the albums associated with OneDrive. The good thing is not just that the tool itself has come out, but also that they’re working to include new features soon, such as a new authentification system.